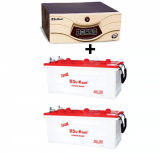 Su-Kam offers environmental friendly and premium quality batteries for inverters. The batteries have low maintenance and longer working life due to the presence of extremely pure lead oxide. The batteries have high charge efficiency which results in less power consumption during charging. 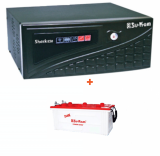 Also the inverters offered by Su-kam are technologically advanced, compact, and easy to move and come at an attractive price. 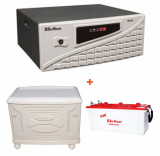 These inverters can be used for both domestic as well as all commercial purposes. 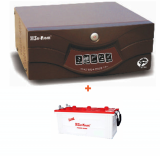 The inverters with different load capacities are available along with their respective batteries.